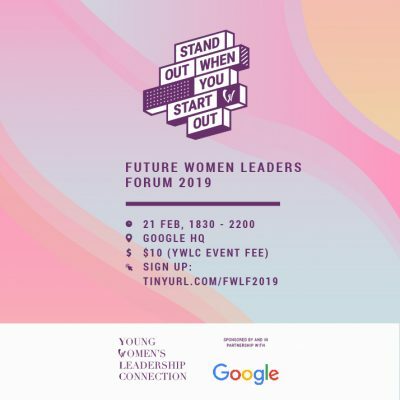 In partnership with Google Singapore, the Young Women’s Leadership Connection (YWLC) is hosting the Future Women Leaders Forum (FWLF) 2019 on 21 February 2019 (Thursday) for final-year female students and fresh graduates (1-2 years out of school). FWLF is YWLC’s largest annual recruitment event for young women to learn from established female leaders, network with industry experts and fellow peers and prepare for a fulfilling career. This year’s theme is Stand Out When You Start Out. 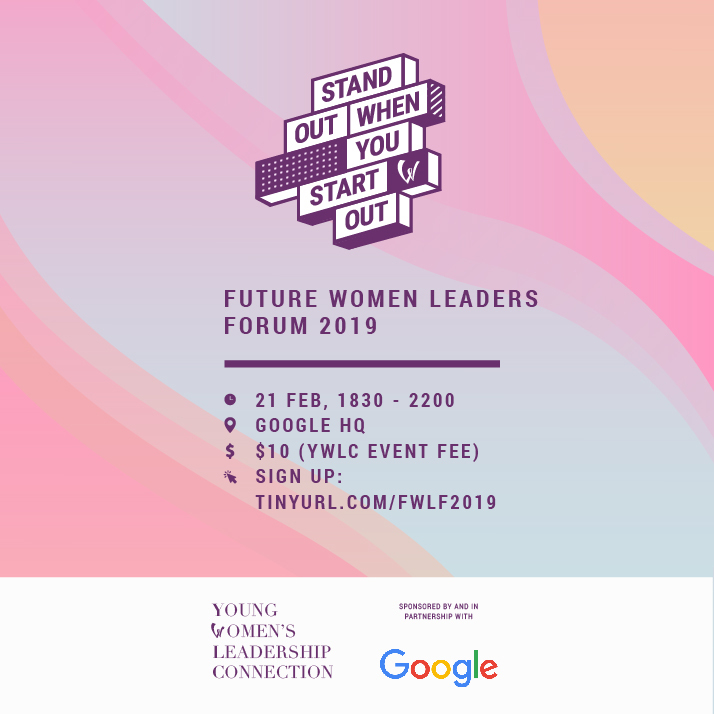 The event includes dinner, a keynote speech by a Women @ Google leader, an interactive workshop by Google’s trainers, and a networking session with YWLC members and Google employees. Participants will also be invited to apply for YWLC membership and its exclusive mentorship programme.